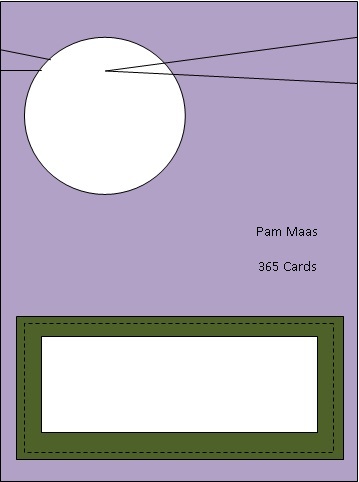 This is my first attempt at a Digital Image card :) I found this challenge Here on Baby Bud Designs. When I saw that she had a shop on Etsy too, I had to give it a try! I purchased the buggy bloom baby image and started crafting. I printed the image on blue, cream, and green card stock. I paper pieced her little face and the baby buggy to the blue card stock. I took an upside down green little heart punch and put it underneath the pink paper flower. I used Stampin Up's border punch for one side of the card and green rick rack for the other. I punched a pink flower out of patterned paper and added a blue rhinestone for some bling. I finished it off with pink button wheels and two sentiments "Little one" and "Congratulations". Now that I tried Digi's, I may just need to buy another! I also entered this Here, in the Bearly mine Challenge with the theme being beautiful babies. Today on Less is more the challenge is making a clean and simple thank you card. On 365 cards the challenge is to use a frame somewhere on your card. In the photos the card appears blue, but in reality it's purple. I stamped and embossed the frame and sentiment in purple. I Then cut slits in the top and bottom of the frame and slid a wide ribbon through. I added a gem and a sheer purple ribbon to the top to create an overall elegant look. Today on 365 Cards the challenge is to make a card that sparkles and shines. When I think of sparkles I Think of fairies wings and princess things. I made this OOAK ACEO and made a pocket for it to attach to the front of a greeting card. The paper is from The Angel Company, and has little flecks of gold all over to make it sparkle. I stamped the image with metallic copper ink on handmade paper and embossed it with 'Detail Gold" by PSX. I colored in the fairy with Prismacolor and tombo markers, and used a combination of white gel pen, stickles, and glitter to make the wings sparkle. I attached the card stock to chipboard and detailed the top and bottom with a gold paint pen for some shine. This stamp and ACEO can be purchsed on Etsy. What is an ACEO? Art Cards, Editions and Originals are miniature works of art the size of a baseball or playing card. They can be framed or stored in a trading card album. ACEOs can be created in any medium available in the art world. There are no rules limiting the artist, except that the dimensions have to be 2.5" x 3.5". They're a great way of collecting original art, at an affordable price. To make the ACEO look professional you can purchase a download to attach to the back of your artwork from this Etsy shop: http://www.etsy.com/shop/H20worksDesigns . This card was inspired by the challenge site called Case Study and I used Aud sentiments challenge for turning it into a Mother's Day card. The picture was recycled from a poem book, and I used my spellbinders to make the oval shapes. The stamp is by Stampin up, and I cut out the image and punched a hole in the handle to tie the ribbon through and attached it with a pop dot to the card. I loved all the pearls on the sample card and dug through my charm drawer and came up with this lovely heart. tea ~ lace & pearls the recipe for a wonderful Mother's Day! Today on 365 cards the challenge is to use kraft paper and make a nature themed card. I chose a butterfly stamp from Stampin Up and a few little blooms to create this simple and sweet card. I added a little light blue paper flower and an argyle ribbon for some color and a rhinestone for sparkle. I used Versafine Vintage Sepia ink for a monotone look. I entered this card in the Ai Factory challeenge as well today. These stamps are available in my Etsy shop. "Eat your carrots, they're good for your eyes!" remember hearing that growing up? I thought of this rubber stamp when I read the challenge on 365 Cards today. The words are from a set by The Angel Company: "Cultivate Joy" ~ two words that go so well together ~ Same with "Harvest Love". When I saw this challenge I thought of this great stamp set by Stampin Up called "So Much". I stamped the circles in copper, hunter green, and navy blue. I added a large green ticket punched piece with the sentiment "Thanks so much" with buttons in the corner for embellishment for a quick and simple male thank you note. I'm selling this set on Etsy if your interested. 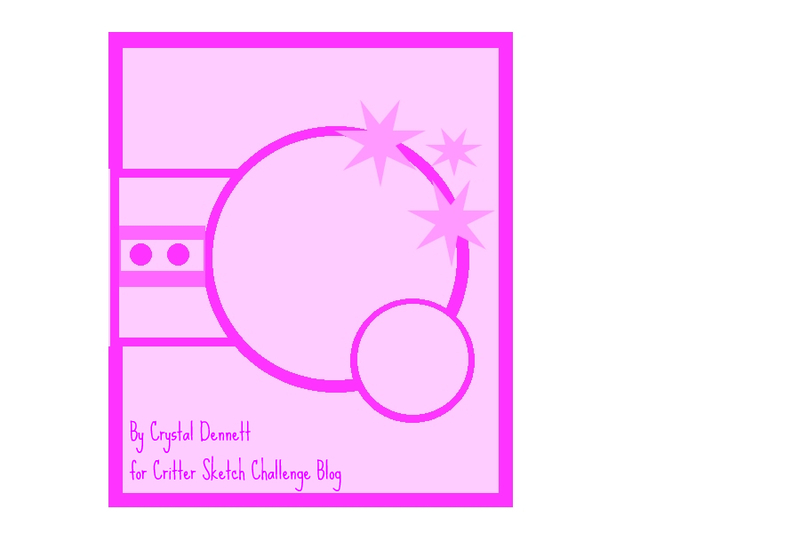 It was hard not using that doodle flower this time, but I had to resist since this is a men's card challenge! Today on Party Time Tuesday the challenge is anything goes. I just finished punching a bunch of musical butterflies, so I combined them with my two favorite colors blue and green and came up with this "Thinking of you" card. When I heard the challenge for today on 365 Cards I thought of this stamp by Stampin Up called "We've Moved". Moving definitely constitutes a big announcement in my book! I made a simple postcard that could be more detailed if the bird houses were colored in. 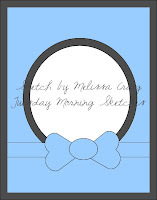 I saw this sketch on Mojo Monday and decided to use K & Co's sweet nectar die cuts to make my 5 1/2 inch square card. 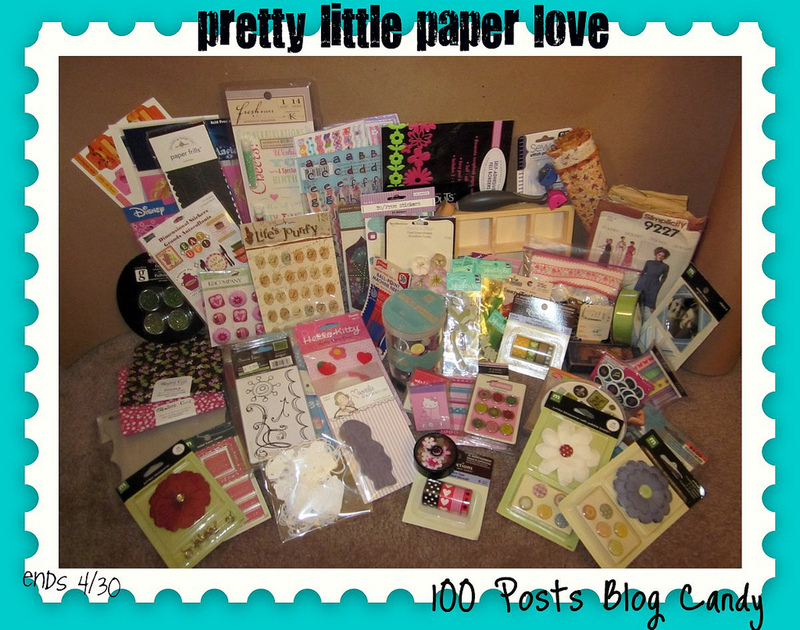 I have my own personal challenge going on to see how many cards I can make with this one paper pack! I think this card is bright and happy and sure to make someone "Smile"
I'm playing catch-up ~ Can you tell I went through paper crafting withdrawl while on vacation?! Hubby is cooking Easter dinner so I get to play in my craft room. I found this challenge on Less is more week #12 titled "Off Centre" -I had to laugh at this one since my natural tendancy is to be "a little off" ~ LOL! I love bakers twine! when I saw this post on Aly's Sunday Challenge I knew I had to participate. I just bought black twine recently, so I dug in my black paper scrap drawer and came up with this for a design. I went without a sentiment so it could be used for a male graduation, or birthday card. Up early with Easter baskets and egg hunting then to church and doing loads of laundry ... I made this card for 365 cards Super sketchy sunday #55: It's good to be home! "How to" link: http://www.splitcoaststampers.com/resources/tutorials/easelcard/ I made this terrific Father's Day card (and it's only April..woohooo!!) 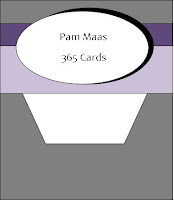 Thanks 365 cards for getting me into my supplies and trying new shapes and sizes! http://365cards.blogspot.com/2011/04/day-46-fancy-folds-easel-card.html I used Jolee's sailboat, Bias tape for ribbon, and a star fish from oriental trading. I chose Patterned paper by DCWV Safari Chic stack, and cardstock and rubber stamps by Stampin Up. I thought of little girls and the "S" is for Sparrow. My little bean turned 8 and pink suddenly is not her favorite color. Her new color is blue, I'm not quite ready for this new grown up choice, so I'm going to use both to ease into it. Truth be told...I went through 2 cards before I could line up my score lines correctly! trying to go from one corner to the next and line it up...I tend to be off by an 1/8! If I could stop tilting my head, that might help ~ anyway, I'm pleased with the final outcome and think this type of card would be sweet to tuck in a gift basket. This challenge is from 365 cards: http://365cards.blogspot.com/2011/04/day-45-fancy-folds-triangular-tri-fold.html and you can find instructions on how to make your own tri-fold at: http://www.scor-pal.com/projects/index_files/Page352.htm. today on 365 cards http://365cards.blogspot.com/2011/04/day-44-fancy-folds-double-stair-step.html the challenge was to create a Double stair step card. I found a video on YouTube that helped me make the cuts and folds: http://www.youtube.com/watch?v=4sfEcyuMFu0 she called it a middle step card. Today on 365 cards http://365cards.blogspot.com/2011/04/day-43-fancy-folds-accordion-card.html the challenge is to make an accordian card. I found this video on bukisa http://www.bukisa.com/videos/12088_how-to-make-an-accordion-card and made this birthday greeting. I like how it makes the sentiment "float" when you open the card. Thank you less is more http://simplylessismoore.blogspot.com/2011/04/week-10-one-layer-challenge-sentiment.html for getting me to try this technique. I was at a rubber stamping convention when I learned about heat & stick powder and gold foil. I purchased the necessary items to play and they have been in my drawer for about 2 years now! I stamped the sentiment with a glue pad by Tsukineko and sprinkled on Stamp and bond embossing powder by stampendous. I used my heat gun to melt the powder and make it sticky, then sprinkled assorted shades of gold foil over the sentiment and pounced and brushed over the image with a stencil brush to make the foil stick to the glue and taa-daa! pretty good for a first attempt. Now maybe I'll play with it more...? Yesterday's challenge on 365 cards was to make a Pop up greeting. I was hesitant about this one, as it requires 3-D thinking and that is not my fortay! It's weird, but when I have to concentrate on the inside as well as the outside of the card I get "stuck"! After watching a few video's on YouTube I came up with this "Happy Birthday" card with a pop up vase of flowers inside. Here is Today's challenge on 365 cards: http://365cards.blogspot.com/2011/04/day-41-super-sketchy-sunday.html I instantly saw a cupcake when I saw this sketch! so I remembered in my stash I have a terrific die cut that I bought from a friend on Etsy. her name is Sandy, and here is a link to her shop: http://www.etsy.com/shop/sandyssentiments?section_id=6898830 I started looking for other challenges that might inspire the rest of the card and I found another card challenge site called Birthday Sundaes: http://birthdaysundaes.blogspot.com/2011/04/challenge-4-inspiration-picture.html They have an inspiration picture for challenge #4 that shows pink and white stripes with a banner in the background. I chose party hats to emulate the banner for a festive embellishment. Yesterday was the Spring Bazaar at Cox H.S. so I missed out on making my card. I played catch up and made two today. The challenge was to use four types of coloring on your card. I used ink, colored pencil, clear dimensional for the water in the "V", and I paper pieced one of the hearts with textured paper. I noticed some of the men bought birthday and anniversary cards yesterday at the show, so I need to re-stock my "Love" supply. This card was made for the Stampin sisters in Christ #83 http://stampinsistersinchrist.blogspot.com/2011/04/challenge-83-luke-1817.html and The paper variety http://www.thepapervariety.blogspot.com/ called "April Showers brings may flowers" I'm so excited, I finally used my sizzix die cut that I bought on clearance called "Splats" to make the rain puddles with. I stamped with an old set of Stampin Up's called "Flower filled" for the boots and the blooms. I used the stamp kissing technique to make the boots look plaid with the Stampin up plaid background stamp. I think this would make a great child's birthday card. I used a Stampin Up Background stamp and Heart punch to help create this Christian encouragement greeting. I added a metal heart that was part of a necklace from the thrift store with a floss bow and some rick rack for embellishment. I'm still working with K & Co's new sweet nectar die cut collection. I chose a scalloped circle with a paper orange flower on top and a rhinestone center for embellishment. The butterfly, the word window and the ribbon are all in shades of orange to keep it monochromatic. The result is a bright a happy thinking of you card. On 365 cards http://365cards.blogspot.com/2011/04/day-37-pure-contentment.html today's challenge is to depict "contentment". I thought of this terrific image by Stampin Up from the "Summer by the Sea" set. I stamped on glossy paper with staz on and added "Happy Anniversary" and a ribbon that reads "Cherish, Love, Joy" for a fast & simplistic one layer greeting. 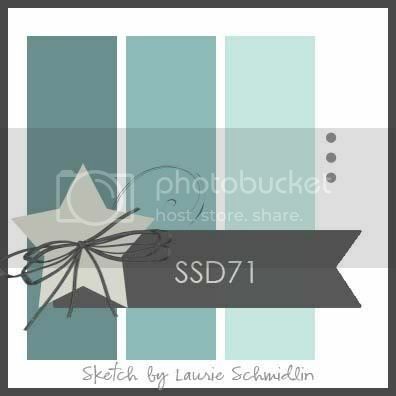 I combined two challanges today: http://365cards.blogspot.com/ for the color scheme #36 and http://skippingstonesdesign.com/ for the sketch. You know you have a paper addiction when you read a challenge and instantly know that you have several patterned papers in that exact color combination. Hi my name is Karen, and I'm a paperaholic! Here is another simple and fun male birthday card. I just love this sweet little bird! "A kind word is like a spring day" How true is that. I'm using K & Co's die cut from the sweet nectar collection for the background and Stampin Up's ribbon and rubber stamp called "Serene Spring". 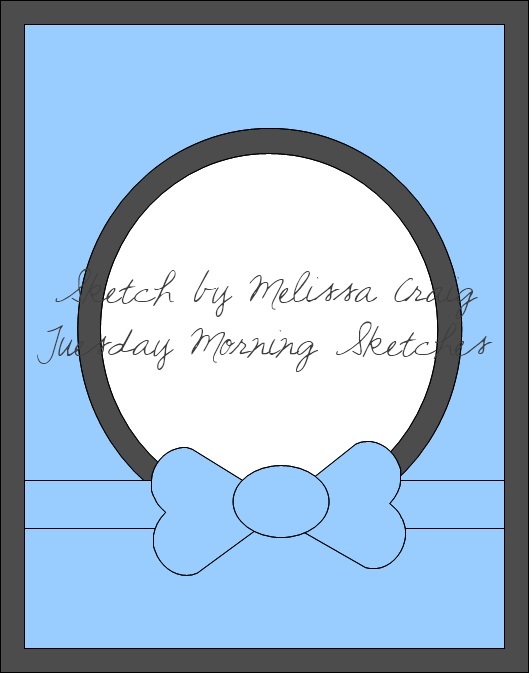 Thank you Tuesday Morning http://tuesdaymorningsketches.blogspot.com/ for a wonderful sketch today.